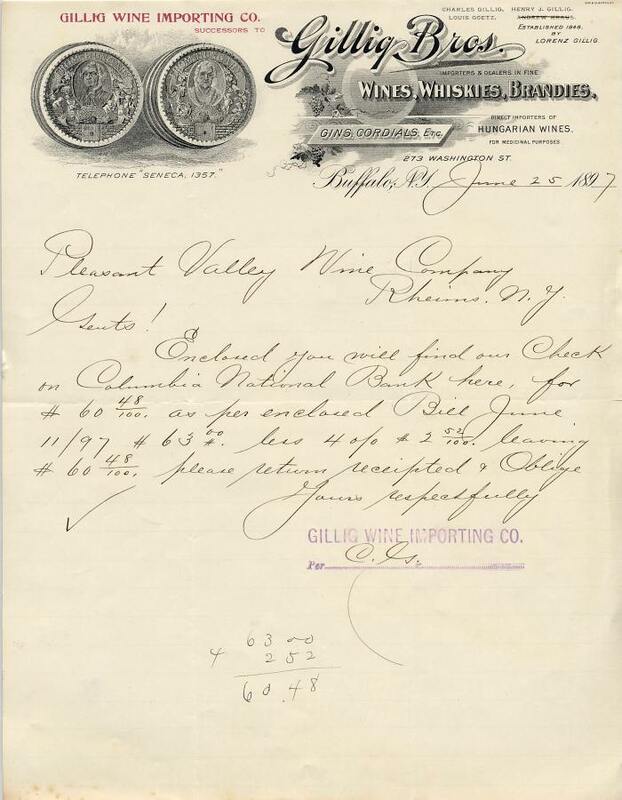 A letter from Gillig Bros., now Gillig Wine Importing Co., of Buffalo, NY. It is dated June 25, 1897 and features an engraving of barrel heads with pictures of the brothers? The letter measures 8-1/2" x 11".